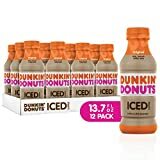 Bottled Iced Coffee from Dunkin' Donuts is intended to be a bottled version of the iced coffee they offer in their restaurants. They offer 4 different varieties and the caffeine ranges from 153 mg to 186 mg per bottle. Listed above is the caffeine amount found in the "Original" variety. 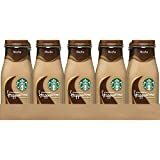 Their store made iced coffee has a similar caffeine content at 198 mg per 16 floz serving. Along with the hefty dose of caffeine, Bottled Dunkin Iced Coffee has a lot of sugar. At 45 grams per bottle, it's like having the sugar amount in almost 2 Snickers Candy Bars. A bottle clocks in at 290 calories which is a small meal's worth. Sugar content: 45 grams (per 13.7 ounces). 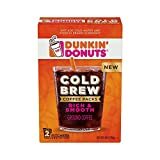 Bottled Iced Coffee Dunkin Donuts contains 12.48 mgs of caffeine per fluid ounce (42.21mg/100 ml). 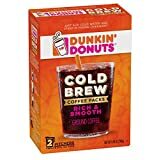 Data Sources: https://www.dunkindonuts.com and their customer service.